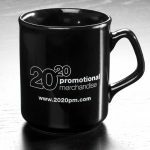 Did you know that a huge 90% of people who receive a promotional product remember the name of the advertiser on the item? Personalising products with your company logo is a very successful way of getting your brand noticed and remembered. Suppliers are constantly working to improve and add new exciting things to their product range making it possible to personalise anything from a pen to a unique product such as floating cups! The most popular promotional products tend to be the ones people constantly come in contact with such as pens, notebooks and mugs. Products like these are useful, appreciated, used repeatedly and kept meaning they are a constant source of advertising. In terms of customers retaining promotional products, it was found that 47% of people receiving promotional products keep them for more than a year. That is a lot of time for your logo & brand name to be seen! In fact the use of promotional products as an advertising medium alone generates great results- up to 69% in increasing brand interest and 84% in creating a good impression of the brand. Comparing this to other ways of getting your company noticed and remembered, such as TV adverts – promotional products definitely come out on top. A lot of homes now have TV’s that have the ability to completely skip through the adverts meaning the advertisement you paid incredible amounts of money for hasn’t actually been seen by a large amount of people watching the channel. Creating a good impression is an important part of every business and often results in an increase in sales, so what better way to create a good impression than by giving your customers a free promotional gift? After all, everybody loves getting something nice for free! 2020 recently visited the Trade Only Show in Coventry to take a look at new industry trends. The event saw more than 3,000 visitors over its two day run making the event the most successful ever. There were more suppliers exhibiting than ever before with 350 different stands. It was also Lauren’s first time to visit the Trade Only Show and she was overwhelmed by all the different products available, especially products such as pens with memory sticks on the end, floating cups and so much more! The Cosmetics and Homewares were even more impressive this year; for example the lip balms with the new full colour dome (photo above) that are also available as mints. The quality of the print really stands out from the rest and makes a great giveaway! Another product that stands out is the sport themed lip balms. These come in a variety of different styles such as rugby balls, golf balls, footballs and tennis balls which makes them a fun alternative to your regular lip balm stick. Sport- including deodorant, plasters and wipes. Festival- great for the upcoming festival season. Flight- handy for people who travel often. Hangovers- including mints, face spray, a cooling gel eye mask and Alka-Seltzer! The diverse range of promotional products at the Trade Only Show were very impressive and we’re excited to see the products continue to improve and evolve in future shows. We can’t wait until next year to see what they’ve got on offer! Blog written and photographs taken by our studio apprentice at 2020.